How did you get 25??? I see 17! I can see only 17 xD. 15 people tell me where the rest are plz. ohhh now i see 15!!! it's working!!! GOD how do you people see these faces?? I got 17... where are the others!!! 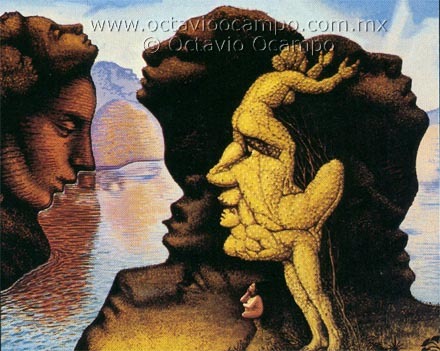 how many faces are here in the painting? How the heck do u people see 17 i only got 9!!!! i found 24 faces in this amazing pic. keep the picture as a whole in mind. Please, where is the answer? 8 faces I am certain!